Yet another survey was published last week showing how the number of closing retail stores on the high streets of the UK significantly outweighs those opening. Sad as that is, it’s no surprise to anyone in the current omnichannel climate. What is surprising is that the store category with the healthiest number of openings, compared to closures, is bookstores. A decade ago the mere thought that bookstores would be leading new store openings would have been dismissed as ridiculous. Amazon began life as an online bookstore, targeting the physical equivalent as its first conquest. It then went on to develop the Kindle, as an alternative to physical books. The most aggressive and successful retail disruptor ever had the bookstore in its sights from day one. Clearly physical book chains have disappeared, total numbers of stores dwindled however it appears to have reached equilibrium, and in deed be turning the tables. What Amazon cannot do is create a physical experience and generate community spirit. Independents, chains such as Daunt books and now the biggest operator Waterstones are all tapping into these opportunities. 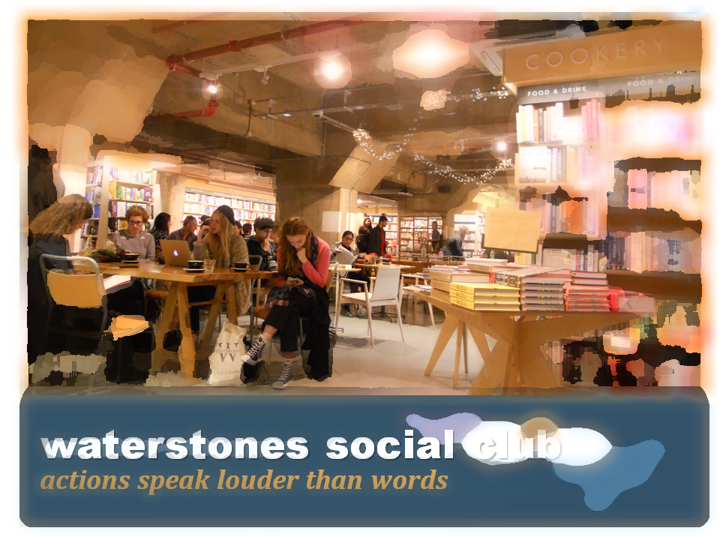 Waterstones is at the beginning of a process of re-inventing its shops. Around the country unfamiliar stores are appearing which cast out the formal black fixtures & fittings in favour of a more flexible and friendly approach. Brickwork and breeze blocks expose the fabric of the building. It taps into the urban trend. It also shows a movement from expenditure on mechanics to an investment in people and community. An impressive series of events, book signings, talks and workshops create the more structured dynamic. However, it’s the ongoing interaction between store and customer that ignites the change. Anyone is welcome to browse, relax and simply spend time in the shop. The book retailer was made for this leisurely pace. The combination of coffee and culture, cake and comics seems so obvious a recipe for success. That it is now being realised across the country is overdue but nonetheless and relief and a boost for the business of selling books. How do you encourage your customers to stay for longer? Does your store create a relaxing & welcoming atmosphere?